Phottix have released the Strato II Multi 5-in-1 wireless flash trigger, an upgraded version of the Strato 4-in-1 with the addition of wireless flash grouping, and backwards compatibility. 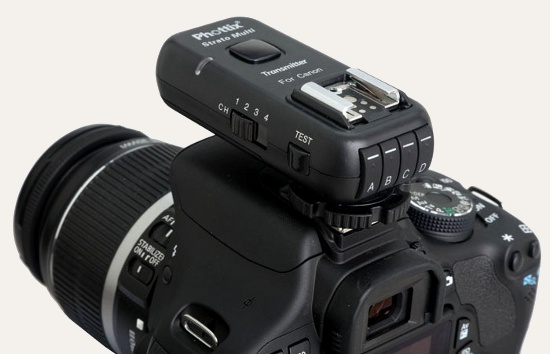 Phottix have released an upgraded version of their Strato 4-in-1 wireless flash trigger. 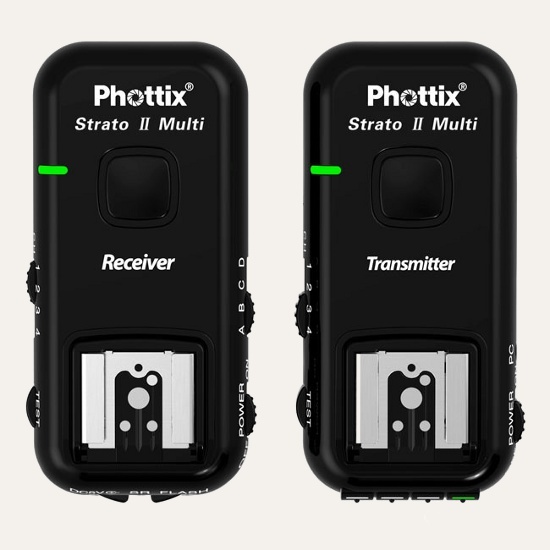 The Phottix Strato II Multi 5-in-1 adds Pixel Soldier-style wireless flash grouping and a host of other improvements to the radio remote, while retaining backwards compatibility with the original Strato. Now, a Strato II receiver may be set to one of four groups: A, B, C or D. The transmitter can then fire any of 15 combinations of those groups for maximum flexibility, e.g. when using multiple lighting setups or metering large numbers of flashes. With this addition, Phottix have a head start on the upcoming Pixel Rook, which is also expected to offer TTL pass-through and wireless flash grouping together in one trigger. The Pixel Bishop already offers these features at around twice the price. By comparison, the Pixel Soldiers, Bishops and Rooks have only three wireless flash groups and seven different combinations. An original Strato receiver will be triggered by a Strato II transmitter on the same channel, regardless which combination of groups is selected. However, original Strato transmitters cannot set off Strato II receivers. Nikon and Canon transmitters and receivers are intercompatible. A Strato II Multi kit, containing one transmitter and receiver, is priced at US$98.00 ($15 more than the original Strato). Extra receivers are available for US$57.00 each. Strato IIs are shipping now from the online Phottix Store.